Sometimes it takes more than a pretty face to succeed. 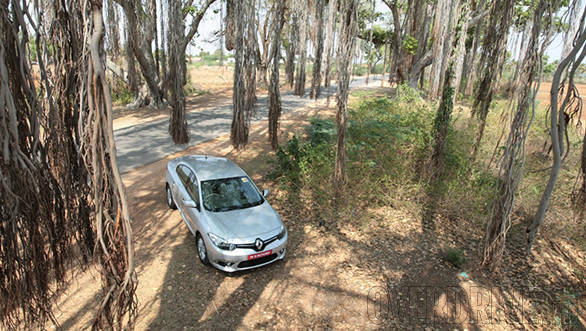 Case in point the Renault Fluence  a good looking and capable car that Renault chose to begin their solo India offensive with. That the car didn't set the charts on fire is understandable considering Renault was a new player and their first offering was an luxurious and premium entry level D segment sedan. Three years later, Renault is a much stronger player in India and a more recognized brand, largely thanks to the success of the Duster. And now they have an updated Fluence on offer. The Fluence gets a strictly visual make over but it's comprehensive enough for most to recognize. 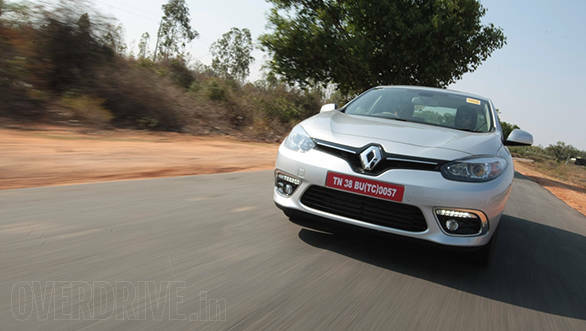 What Renault has essentially done is graft their new family face onto the Fluence. The procedure involved incorporating the new design language themed grille that houses a large Renault logo. The new headlamps are sharper and longer and get projectors. A revised bumper features large faux intakes below new LED day time running lamps. The intakes house fog lamps and are surrounded by a thick garnish of chrome. Over at the sides the thick cladding on the doors is now body coloured which looks far nicer than the old black coloured units. There's also a new design of directional alloy wheels that look nice but don't really contribute or detract from the design. The rear end is pretty much the same; the overall look is sharper but just as pretty as it used to be. While most like it some think the old car looked nicer. I happen to think it looks rather good, especially in black or white. The interior gets a few tweaks as well like a new soft feel finish for the dash and a new metal finish that replaces the old faux wood trim. The dials have also been tweaked and there's a new 8 speaker sound system that produces good sound quality for the segment. Besides that you get the usual raft of features like cruise control, dual climate control, rear ac vents and more. Renault isn't offering the petrol version from earlier and the Fluence is now only available with the 1.5-litre diesel engine. The mechanicals are untouched which means you get 110PS/240Nm sent to the front wheels via a six speed manual (Renault doesn't offer an auto box) There's clear turbo lag upto about 2000rpm before the engine pulls strongly. The lag isn't crippling in city and the engine won't bog down  you'll just have to wait a bit for the power surge. It does however become an issue when climbing steep inclines like the ones we encountered on our way to Ooty. You simply have to keep the engine on the boil and third gear is a rare luxury when climbing a steep ghat like the 36 hair pin behemoth that leads to Ooty. Positively, the engine is efficient (Renault claims 20.4kmpl) and gear throws are short and precise. However our previous gripe with the clutch remains  like in the Duster which uses this powertrain it is quite stiff and will get painful in city traffic. 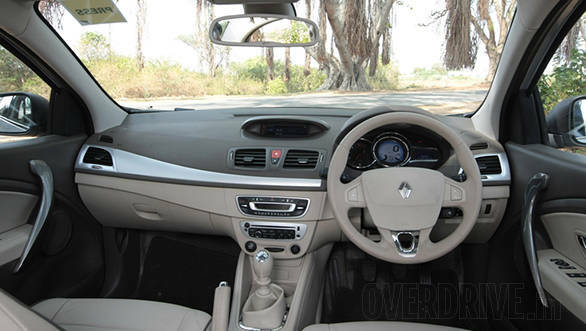 The Fluence has always offered some of the best ride quality this side of Rs 20 lakh and it doesn't disappoint. The ride is plaint at both low and high speeds and the car resists crashing through all but the worst of bumps. A spacious rear bench means this is a very comfy car to be ferried around in. If you insist on driving you'll find that it is a confident handler with plenty of grip and precise steering feel. It's not exciting to drive but its more than up to the task of taking on a winding stretch of tarmac. 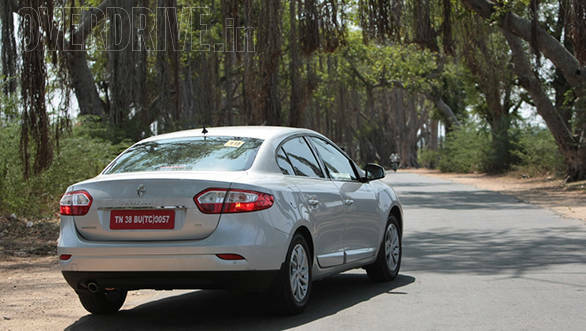 The Fluence is priced on par with its rivals at Rs 13.99 lakh for the E2 and Rs 15.49 lakh for the E4. 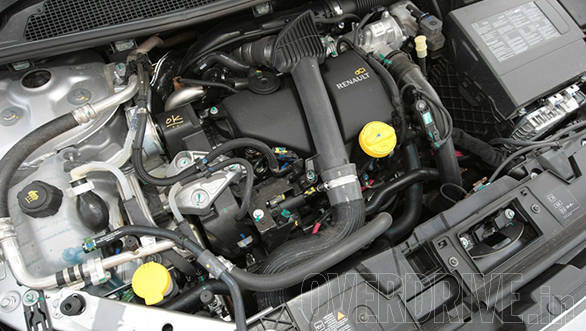 The E2 sacrifices a lot of features like ESP, leather upholstery, auto headlamps and wipers, rear ac vents and more which ironically makes the more expensive E4 better value for money. When Renault started off in 2011 they only had 14 dealerships. Today they plan to have 175 by the end of the year. The success of the Duster has shown that Renault makes reliable cars and that their service and spare parts costs are not prohibitively high. Hopefully this will help the new Fluence sell in the numbers it always deserved to.